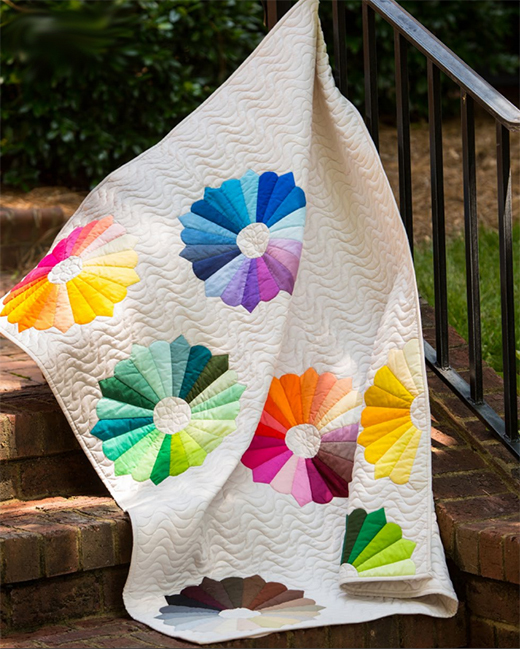 Multi-colored Dresden plates gracefully drop and bounce across this quilt’s surface. Make a wall quilt or queen version, as both sizes are included. The Dresdens are made quickly and accurately using Quiltsmart pre-printed interfacing panels.